The disability-led arts organisation has raised over £27,000 through a contemporary art benefit auction. 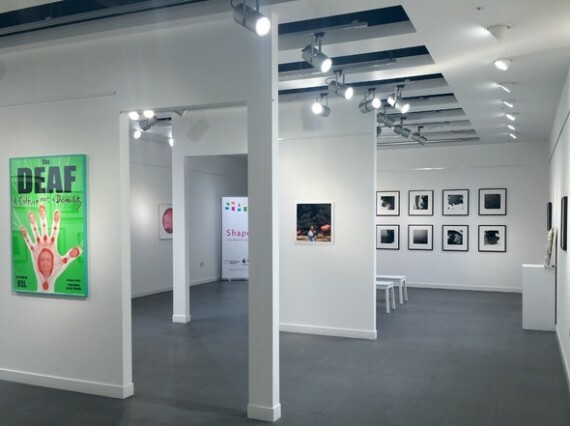 Shape Arts has marked its 40th anniversary with a benefit auction and exhibition at its gallery in Stratford, London. 25 works by artists including Doug Fishbone, Grayson Perry, and Jake and Dinos Chapman were on show, with their sale raising over £27,000. Two of the pieces, by artists Bedwyr Williams and Jeremy Deller, have been acquired by the British Council for its collection. The proceeds will go towards funding Shape Arts’ work in pushing for a more inclusive and accessible arts sector for disabled people. This includes an annual open exhibition, the Adam Reynolds Memorial Bursary, and a programme of workshops, talks and advice sessions designed to develop opportunities for disabled artists. The funds will also contribute to supporting the organisation’s regular programme of pop-up galleries which serve to provide a physical platform for the promotion of art created by disabled people. The full list of artists taking part in the auction were: Franko B, Greg Bartley, Hans Op de Beeck, Ben Cain, Jake and Dinos Chapman, Tacita Dean, Jeremy Deller, Doug Fishbone, Christian Furr, Dora García, Candida Höfer, kennardphillipps, Ragnar Kjartansson, Hormazd Narielwalla, Rivane Neuenschwander, Grayson Perry, Sophie Ryder, Stuart Semple, Hito Steyerl, Julie Umerle, Bernar Venet, Bedwyr Williams, Erwin Wurm, Guy Yanai, kennardphillipps, and Unskilled Worker.